Temperament and Health are our #1 priority. Von der Stadtrand German Shepherd’s are bred from the finest German Import Schutzhund 3 working lines crossed with only the best German Import VA Sieger show lines. With the help from families in the SE Wisconsin area all of our dogs are house dogs living with families. Our breeding dogs are tested and selected by Clayton Warichak, breeder and Schutzhund trainer for over 20 years. All of our breeding dogs have been hip checked and are free from hip dysplasia. Additionally, all of our breeding dogs have strong nerves and are confident in all environments. It is imperative that all of our dogs are social with children and are able to perform both Schutzhund obedience as well as Schutzhund protection training. 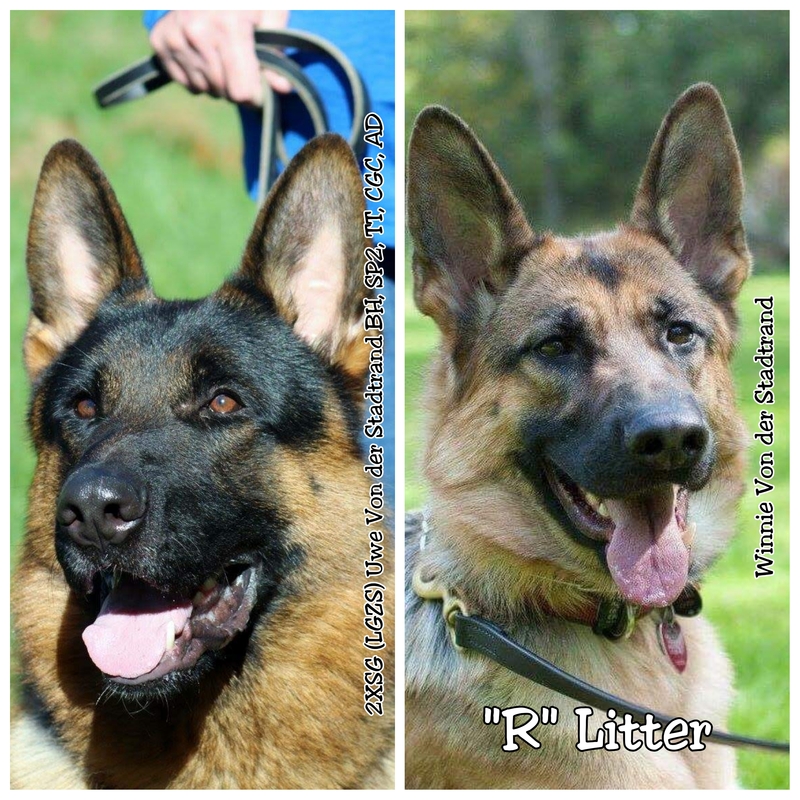 Our "R" Litter is on it's way! Our "R" litter is expected April 23rd, 2019. The sire of the litter is 2XSG (LGZS) Uwe Von der Stadtrand BH, SP2, TT, CGC, AD. The mother of the litter is Winnie Von der Stadtrand. 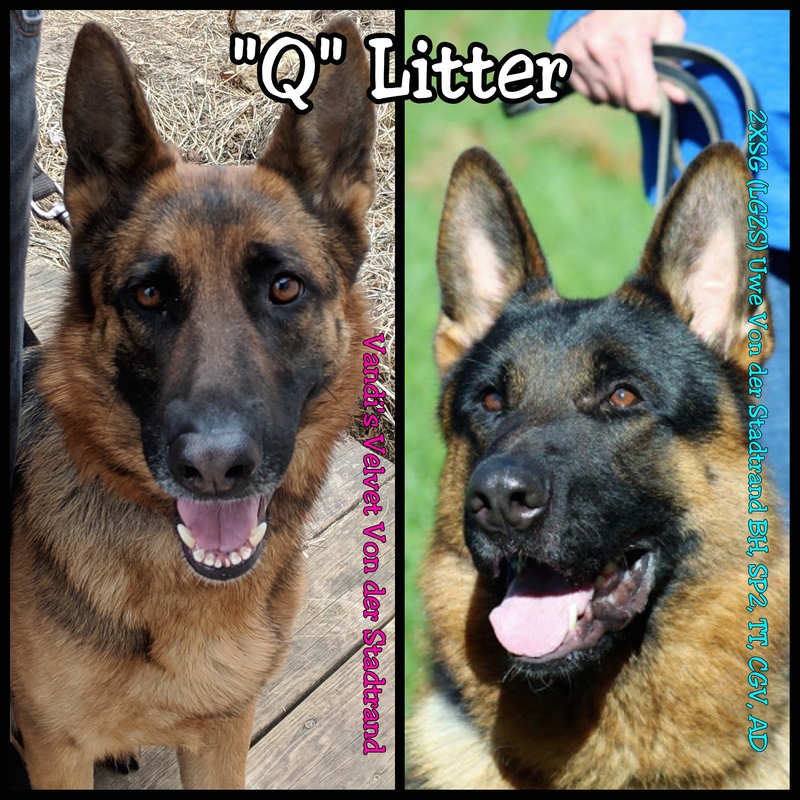 Our "Q" Litter is here! The 4 males and 3 females were born March 28th. The sire of the litter is 2XSG (LGZS) Uwe Von der Stadtrand BH, SP2, TT, CGC, AD. The mother of the litter is Vandi's Velvet Von der Stadtrand. 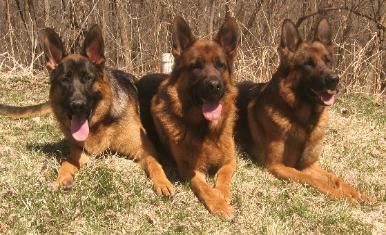 We, at Von der Stadtrand, are active members of the Chicago Schutzhund Club. We compete at both conformation and schutzhund trials. For more information on the Chicago Schutzhund Club and their upcoming events click the link below.